This 64-page, soft-covered book measuring 243mm x 169mm. has 39 illustrations, 11 of which are in colour, and two family trees. 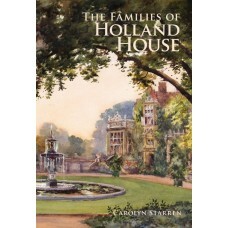 These influential and interesting figures of London society and beyond, and their guests, are the cast of Carolyn Starren’s painstakingly researched and fascinating account of the life and times of Holland House. 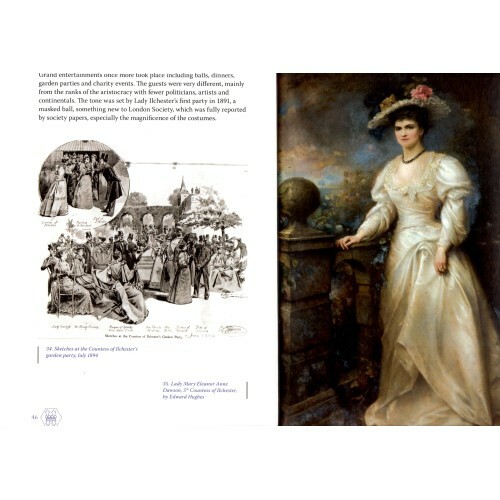 Commissioned by The Friends of Holland Park, Carolyn Starren, as a past Local Studies Librarian for The Royal Borough of Kensington & Chelsea and a lifelong resident of Kensington, is pre-eminently well qualified to write this definitive social history of Holland House. For over 300 years successive owners of Holland House in Kensington were at the heart of political, social and literary life in London until the house was bombed during the Second World War. The Cope and Rich families (the Earls of Holland and Warwick) were the owners from 1604 to 1721, and the Fox and Fox-Strangway families (Barons Holland and the Earls of Ilchester) from 1726 to 1951.